The Aam Aadmi Party (AAP) on Friday welcomed the Election Commission’s (EC) decision to throw a “challenge” to the political parties to prove that the electronic voting machines (EVMs) were tampered with in the recent polls. Delhi Deputy Chief Minister and senior AAP leader Manish Sisodia, who took part in an all-party meet called by the EC for a discussion on the reliability of EVMs, claimed that the devices could be hacked. “We welcomed the challenge and requested the EC to allow us to pick up the EVMs used in the recent Assembly elections. We will hack them as we have demonstrated in the Delhi Assembly that such a machine can be tampered with,” he told reporters after the meeting. 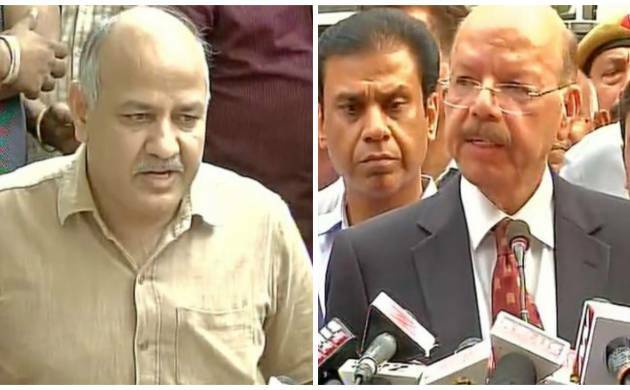 Sisodia, however, expressed reservation over the outcome of the “challenge”, saying the EC should rather go for a “hackathon”, which will allow experts and technocrats to point out the “shortcomings” in the EVMs. “We suggested to the EC that it should conduct a hackathon, which will give an opportunity to the experts to find faults with the machines. A hackathon will enable the poll panel to weed out any shortcoming in the EVMs and make them foolproof,” he said. The EC stuck to its stand that the EVMs could not be tampered with, even though almost all the political parties expressed doubts over the reliability of the machines, added Sisodia. “It is not a question of our defeat or the EC’s victory. The real issue is that if there is any shortcoming in the EVMs, it should concern everyone,” he said. Sisodia hailed the EC’s decision to use EVMs equipped with the voter verifiable paper audit trail (VVPAT) system in the upcoming elections. “We welcome the decision to use VVPAT-equipped EVMs in the coming elections. However, we suggested that there should be a mandatory counting of VVPAT slips in 25 per cent of the booths in every Assembly constituency,” he said. EC throws open challenge to parties to prove EVMs can be tamperedThe Election Commission on Friday formally threw a “challenge” to political parties to prove EVMs used in the recent assembly polls were tampered with after several opposition parties questioned their reliability and demanded going back to the paper ballot system. Several major opposition parties had claimed the faith of people in the machines has eroded. While announcing the challenge at an all-party meeting convened by the Commission in New Delhi, Chief Election Commission Nasim Zaidi, however, did not mention any date for the proposed event. He said parties can try and prove that EVMs can be tampered with even under strict technical and administrative safeguards as applicable during elections. An EC official said the challenge will not be restricted to machines used in recent assembly polls. “Other machines will also be available. But since allegations were regarding the elections, the CEC made specific mention,” he said. This is for the first time that Zaidi or the Commission has gone on record on the proposed challenge.